A renown Columbian actor, who rose to stardom after playing a role Gustavo Velasco in the television series, Ladron de Corazones and Julio Kaczinski on La Hermandad is none other than Manolo Cardona. Similarly, he is also known for his role Eduardo Sandoval in the Netflix series, Narcos. Manolo is happily married to his beautiful girlfriend named, Valeria Santos who is a Columbian socialite. Before that, he has also been linked with other women. Manuel Julian Cardona Molano was born on April 25, 1977, in Cauca, Popayan. He is a son of the political father, Javier Enrique Cardona, and Psychologist, merchant & astrologer mother, Nancy Monolo, mother. Likewise, he grew older along with two brothers, Francisco and Juan Jose Cardona. He earned a name of Manolo at the age of seven from his family and used the name as an actor. Before making an acting career debut, Manolo began modeling after his elder brother referred him to the model agency. By the age fourteen, he appeared in the commercial including runways for several model agencies. At that time, he became the eye of the public by his incredible looks. Sin Testas No Hay Paraiso- 2009 and so on. On the other hand, he also made a film debut in the year of 2005. His first film was Rosario Tijeras where he portrayed a role of Emilio. Similarly, for that role, he was nominated for Goya Award. So far, Manolo has appeared in several films till the date. Some of them are as follows. Besides acting, Manolo also hosted several shows like La Isla de la Tentacion, 2004 Billboard Latin Music Awards, and Los 50 mas bellos de people en Espanol. His notable roles include in the Netflix series, Narcos and Mexican drama series, La Hermandad. In Narcos, he portrayed a role of Eduardo Sandoval along with the several co-actors such as Wagner Moura, Pedro Pascal, Juan Pablo Raba, Andre Mattos and many others. Currently, he is working for the series La Hermandad as a role of Julio Kaczinski. Similarly, up to date, he has won numbers of Awards which includes, Best Actor of Columbia, The Best Columbian Leading Actor of the year, etc. The diligent and hardworking, Manolo is married to a Columbian socialite, Valeria Santos in December 2013. The couple dated each other for few months before tying the knot. Manolo and his wife welcomed their first son after few years of their marriage. 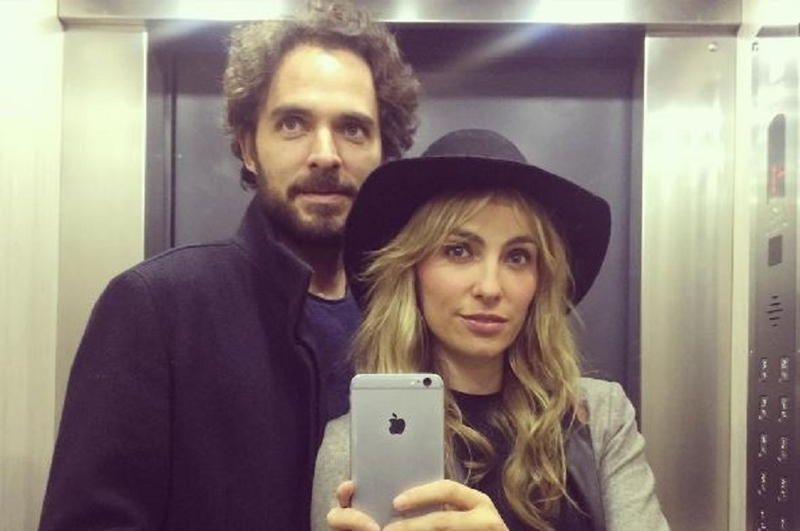 The couple has a son named Gael Cardona from their relationship. Before Valeria, he was in the relationship with his ex-girlfriends, Katarina Sacht and Barbara Mori. However, their relationship did not last for a long period. Currently, Manolo is living a happy life with his wife, Valeria. Husband and wife, Manolo and Valeria. Talented Columbian actor Manolo earns a decent amount of money from his acting professions. As of now, he has appeared in multiple films and television series with different roles. Likewise, he has also won numbers of awards from where he has managed to boost his net worth. As of 2017, his net worth is under review but seeing his lavish lifestyles his net worth must be around six figures.